One morning in seventh-grade math class, Ted, the cutest boy in class in my thirteen-year-old opinion , became highly agitated with the problems we were all struggling to understand. We were correcting our own homework aloud, and the teacher, Mr. B., had asked Ted to read his answer. It was wrong. As Mr. B. wrote the correct answer on the board, Ted muttered under his breath. Mr. B. turned to glower at Ted, causing a collective titter from the class. When Mr. B. returned to the blackboard to finish writing, Ted’s frustration overcame his classroom protocol. “You old fart,” he said loudly. ed’s desk and yanked him up by his collar. Ted slunk out the classroom door and disappeared. We didn’t know it then, but Ted wouldn’t be back in class for three days. The room was so quiet we could hear the pencils scratching across paper and erasers erasing for the next twenty-five minutes, as we kept our heads down and worked. Mr. B. sat at his desk, ostensibly correcting papers from the night before. When the lunch bell rang, all of us popped up like kernels of corn in a hot pan and fled to the hallway where our silence erupted into a roar. Everyone in the class was talking about what had happened. Girls were smirking and whispering, knowingly raising their eyebrows as if to say, ‘Now isn’t he the nasty boy.’ Boys were guffawing, poking each other and releasing deep snorting laughs to exhibit solidarity with their pal. I quickly located Karen and Susan, my two closest friends who were also in the math class. The three of us hurried down the hall to our lockers, grabbed our coats, and headed up the hill for lunch hour at our respective houses—taking the first three blocks together, as always. “I can’t believe he would say that,” said Susan. “Do you still think he’s cute?” she asked Karen and me. We both had crushes on Ted, mostly because he was taller than we were. “That was pretty awful,” agreed Karen. We all shook our heads, clucking in disapproval the way we’d seen our mothers do. Ted was a cute but rude boy—no doubt about it. As soon as I the kitchen door, I tossed off my coat and hurried past Mother who was at the stove stirring Chef Boy-ar-dee spaghetti for lunch. In the den I opened the dictionary to F to look for the word. Apparently our big fat dictionary was abridged, because I couldn’t find it—even when I tried alternate spellings of phart, fahrt and fartte. I returned to the kitchen and sat down at the table. Nibbling at my spaghetti, I was still trying to make sense of that shocking moment in class when Mr. B. strode to Ted’s desk and picked him up by the collar. I shared this anecdote with my children in the mid-seventies, as a way of pleading with them not to use the word fart in polite company. They were in grade school, throwing the word around our lunch table like a baseball. Quickly the conversation topic broadened from one small word to their amazement that Mom had ever been so naïve. Today the word raises no eyebrows. My grandchildren use the word routinely and even in their kindergarten years, laughed hysterically over the book, Walter the Farting Dog and its sequels. Yes, I'd say times have changed . . . and in a good way. In fact, I refer to myself an old fart occasionally, and often recall Ted and Mr. B. when I do. When I initially got involved with OneBothell, it was because I was worried. A sign announcing a rezoning request had appeared across the street from my neighborhood. The owners of the land, a golf course situated on a Conservation Easement, hoped to build seventy-six townhouses on one corner of the property. They needed rezoning to accommodate that use. I attended a neighborhood meeting to discuss how we, as people who would be adversely affected by the change, could effectively push back on the rezoning. I was pleasantly surprised. This was not a brainstorming session. This was a focused and structured strategy developed by three men I’d never even seen before, let alone met—neighbors from a few blocks away. The three carefully outlined their ideas as to why and how we, the community, should fight City Hall on the rezoning. They proceeded to ask for volunteers to speak at a Planning Commission meeting and to requisition public records. The men shared details about the conservation easement the golf course occupied, including its tax-favored status, and answered questions. No doubt in my mind, that first meeting had a negative spin. Upset neighbors were organizing to rise up with a collective voice to “Just say no!” No Zoning change! No development! No additional traffic! No loss of public access! NO, NO, NO . . . all of us being NIMBYs through and through. Then, about a week later, a well-designed Website, OneBothell.org, appeared with a citizen petition to sign. Each day the Website grew in content. . . with tab after tab of news, FAQs, background, historical information, ways to volunteer, and photos of the golf course. The comments and signatures on the petition grew by leaps and bounds. Signs popped up on parking strips. Meetings took place with elected officials and public servants. Records were requisitioned and researched . . . combed for details. All with stunning progress. OneBothell.org had caught fire, and the fire was spreading. Yesterday, as I fixed myself an early dinner so I could be at a City Council meeting by 5:45 p.m., I realized how excited I felt—and in a flash—I realized why. OneBothell is now miles beyond its negative impetus. Instead of being a “stop-something movement,” OneBothell has morphed into a “start-something movement.” The power of community gathering together to express interest and care has become an upbeat, hopeful endeavor. All this has happened in less than two months. 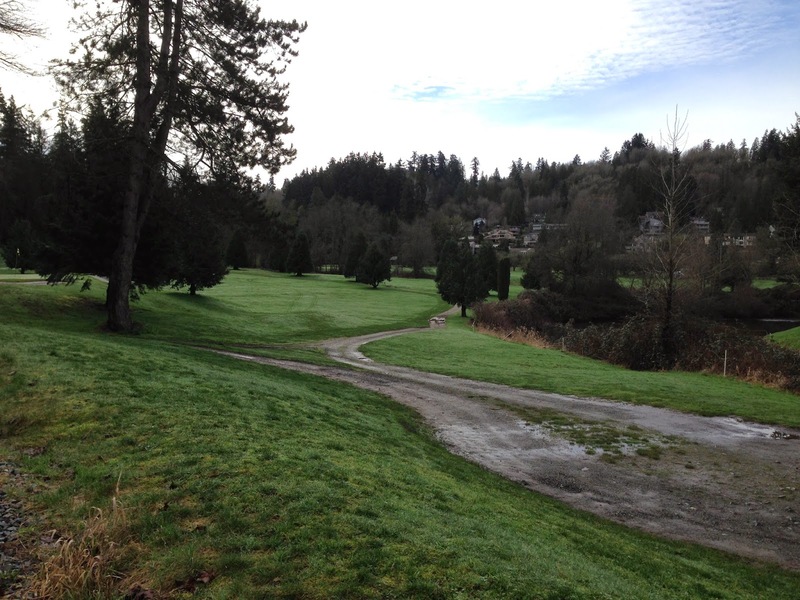 The owners of the golf course are talking to the leaders of OneBothell. The leaders of OneBothell are talking to City Council. The City Council is talking to the owners of the golf course. All this, because three men talked to each other . . . then talked to their neighbors . . . and organized neighbors . . . and talked to the City . . . and talked to more neighbors . . . and the story continues. As OneBothell’s explosive, positive energy rolls through the community, anything is possible.